We are thrilled today to share with you the new single 'Lungs Are Burning' from excellent multi-award winning Canadian singer-songwriter and guitarist Christina Martin. Released on the 6th June this personal and powerful track is the first single from her forthcoming album due to launch later in the year. Her style has been described as an effortless union between Americana and Rock. The vibe and Christina's vocal on this track really reminds us of Stevie Nicks, Fleetwood Mac and The Pierces. Christina will be starting a UK tour on the 24th June including headline dates at The Sound Lounge in Tooting and The Little Rabbit Barn in Ardleigh. 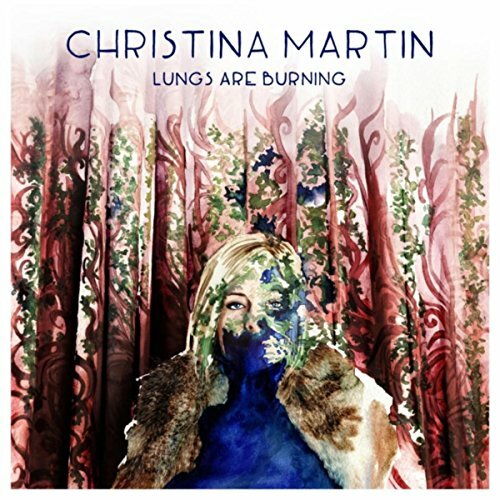 A fervent anthem for those who are lost and longing, “Lungs Are Burning” is the first single from Christina Martin's forthcoming album (Come Undone Records/Tonetoaster). The song was triggered by the rising Fentanyl drug crisis killing thousands of Canadians, with Christina’s lyrics set to music by her and guitarist/producer Dale Murray. With lyrics like “while I’m watching the babies” and “got to go out and get some, baby”, Martin captures the desperation of “chasing the dream” and the horror of living it. Dale Murray’s stately production brings that stark reality home with a bite. Canadian Singer-Songwriter Christina Martin began writing and recording her own music while slogging it out on the Austin, Texas bar scene in the early 2000’s, before returning home to Canada in 2003. Since 2008 she has been relentlessly recording and touring in Canada and overseas, building connections the old-fashioned way, at venues big and small, singing songs about loss and love, anxiety and perseverance. Along the way, she has earned multiple East Coast Music and Music Nova Scotia Awards. Her songs have been featured in films, on television, and she’s performed at music festivals around the world (Rolling Stone Weekender Festival, Belfast Nashville Songwriters Festival, International Folk Alliance, Reeperbahn Festival, Canada Music Week). Christina lives in rural Nova Scotia with her husband and musical partner Dale Murray. They share a life that’s simple, honest and adorned with the joy of music. “Lungs Are Burning” is another powerful step in their remarkable musical journey.